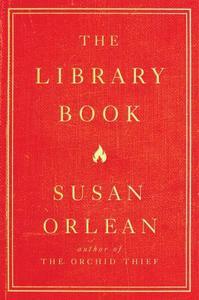 The Wilton Library welcomes author Susan Orlean on Sunday, Dec. 2 at 2 p.m. Orlean will speak about her latest novel, The Library Book. A Q&A and book signing will follow the free and open to the public talk. Registration highly recommended. To register, please click here or call (203) 762-6334. Book will be available for purchase courtesy of Elm Street Books, New Canaan. Orlean, hailed as a 'national treasure' by The Washington Post, reopens the unsolved mystery of the most catastrophic library fire in American history, and delivers a dazzling love letter to a beloved institution—our libraries. On the morning of April 29, 1986, a fire alarm sounded in the Los Angeles Public Library. As the moments passed, the patrons and staff who had been cleared out of the building realized this was not the usual false alarm. The fire was disastrous: It reached 2,000 degrees and burned for more than seven hours. By the time it was extinguished, it had consumed 400,000 books and damaged 700,000 more. Investigators descended on the scene, but over 30 years later, the mystery remains: Did someone purposefully set fire to the library—and if so, who? Weaving her life-long love of books and reading with the fascinating history of libraries, Orlean presents a mesmerizing and uniquely compelling story. With her signature wit, insight, compassion, and talent for deep research, she investigates the legendary Los Angeles Public Library fire to showcase the larger, crucial role that libraries play in our lives. She also delves into the evolution of libraries across the country and around the world. Along the way, she reveals how these buildings provide much more than just books—and that they are needed now more than ever. Susan Orlean has been a staff writer at The New Yorker since 1992. She is the author of seven books, including Rin Tin Tin and The Orchid Thief, which was made into the Academy Award–winning film Adaptation. She lives with her family and her animals in upstate New York. Wilton Library is located at 137 Old Ridgefield Road in Wilton. For more information, visit wiltonlibrary.org.